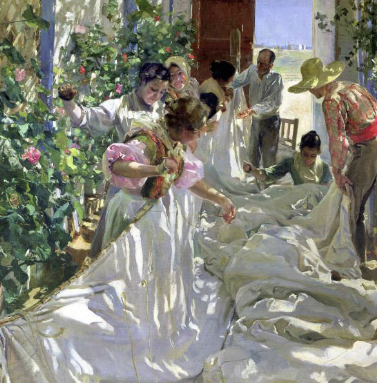 An example of work inspired by Sorolla seen in the exhibit. The Laguna Plein Air Painters Association presents an exhibition featuring 50 original paintings from their members inspired by the work of the Spanish master Joaquin Sorolla. The great-great-granddaughter of Sorolla, Fabiola A. Lorente-Sorolla will be traveling from Spain to join the event. A public reception Saturday, Jan. 23, from 5 – 8 p.m. at Forest and Ocean Gallery, 480 Forest Ave., includes an awards presentation at 6:30 p.m.
Painting demonstrations will take place at the gallery on Sunday, Jan. 24. 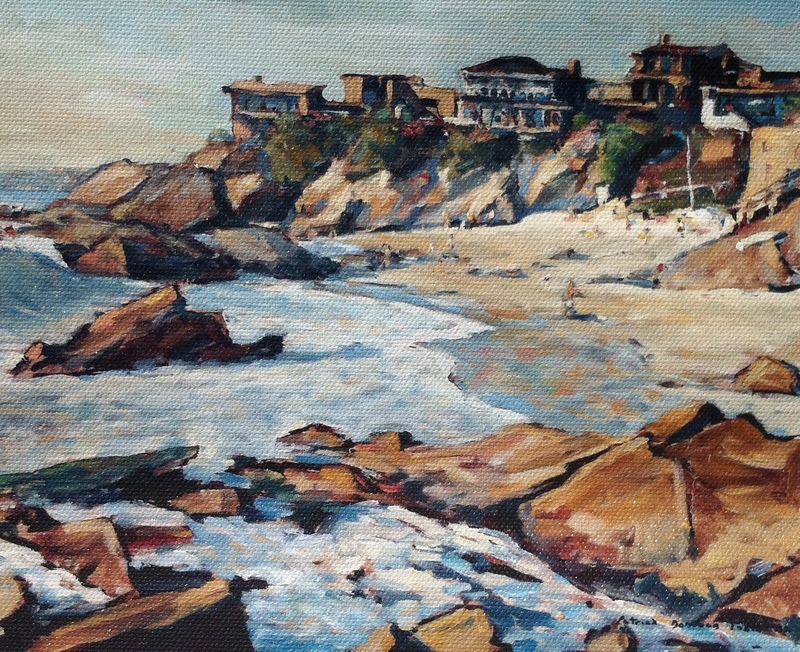 Tobin’s “Woods Cove,” from the collection of Betty Carle. The exhibition is open to the public and guests are invited to bring their own Tobin paintings for exhibit during the reception, from 6-9 p.m. at the Laguna Design Center, 23811 Aliso Creek Rd., Suite 100, in Laguna Niguel. Guest should expect live music, drinks and food. 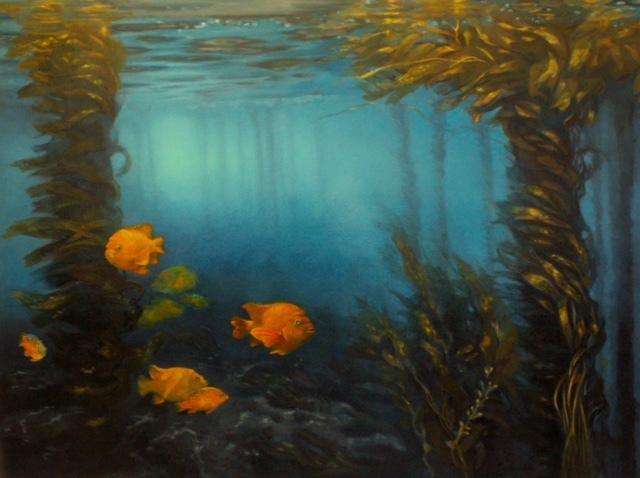 Dana Lewis’ “Kelp Forest” is part of a new City Hall exhibit. A 25-work exhibit by graduate students at the Laguna College of Art and Design opened this week at City Hall, 505 Forest Ave. and continues through March 11. The exhibition is co-curated by Peter Zokosky, chair of LCAD’s master’s of fine arts programs in drawing and painting and Andrea Harris-McGee, LCAD gallery director. Portraits by Elizabeth McGhee, Ellen Rose and Bruce Vanderwilt will be on display at the CAP Banking on Art Gallery, 260 Ocean Ave., through April 15. Works by McGhee, Rose and Vanderwilt, respectively, which will be on display. The gallery, inside the Wells Fargo Bank, is open from 9 a.m. to 6 p.m. Monday-Friday and 9 a.m. to 4 p.m. on Saturdays.